Signed for the 2004-05 season, signed by Tekelspor Istanbul. Signed for the 2005-06 season by Galatasaray Istanbul. Signed for the 2006-07 season by Karsiyaka Izmir. Signed for the 2007-08 season by Fenerbahce Ulker Istanbul. On December loaned to Alpella Istanbul. Back to Fenerbahce Ulker Istanbul for the 2008-09 season. Played there also the 209-10 championship. Signed for the 2010-11 season by Besiktas JK Istanbul. Signed for the 2013-14 season by Tofas Bursa. 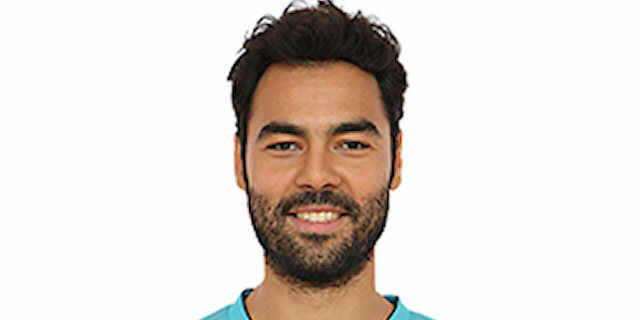 Signed for the 2014-15 season by Fenerbahce Ulker Istanbul. Signed for the 2016-17 season by Turk Telekom Ankara. Won the 2012 Eurochallenge with Besiktas JK Istanbul. Won won the 2009-10 Turkish National Championship with Fenerbahce Ulker Istanbul. Won the 2011-12 Turkish National Championship with Besiktas JK Istanbul. Won the 2010 Turkish National Cup with Fenerbahce Ulker Istanbul. Won the 2012 Turkish National Cup with Besiktas JK Istanbul. Won the 2013 Turkish President Cup with Besiktas JK Istanbul. Named the 2012 Turkish Cup Final MVP. Has been member of the Turkish U-18, U-20 and University National Team. Won the silver at the 2006 European U-20 Championship.